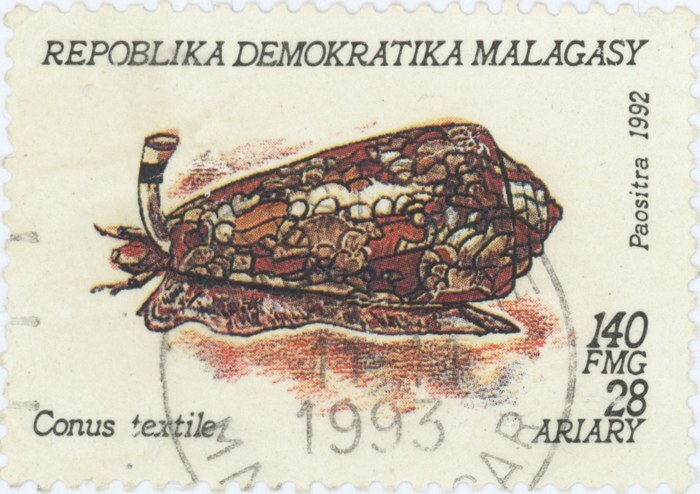 A commemorative stamp depicting the venomous sea snail the textile cone (Conus textile). It was issued on 3 February 1993 and has a face value of 140 francs (28 ariary). 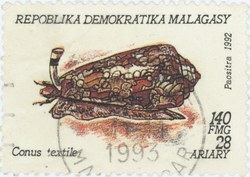 The stamp is cancelled with a postmark that is dated 11 November 1993.